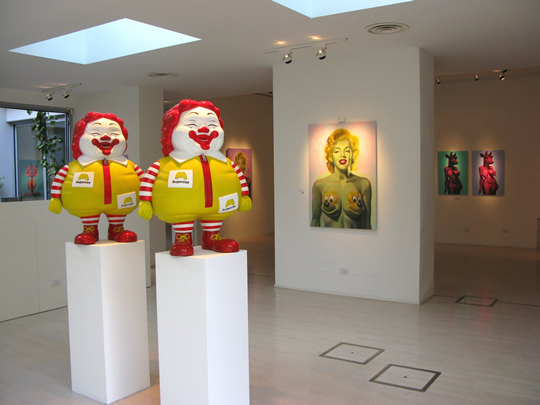 Portly Ronald McDonald sculptures by Ron English at The Don Gallery, Milan Italy. See more photos of the show at The Don Gallery's blog. He just looks so *happy*. And a little bit like a V For Vendetta/Guy Fawkes mask, if Guy Fawkes were Asian. These look rather jolly, considering the point they're making. Yeah, I think a fat sweaty being prepped for his quadruple bypass would have gotten the point across a little better. I think the point he is trying to make is perfectly put across. The "improvements" on the idea you've made are obvious and done before. The stereotypical fat Americans are not walking around feeling sorry for themselves. 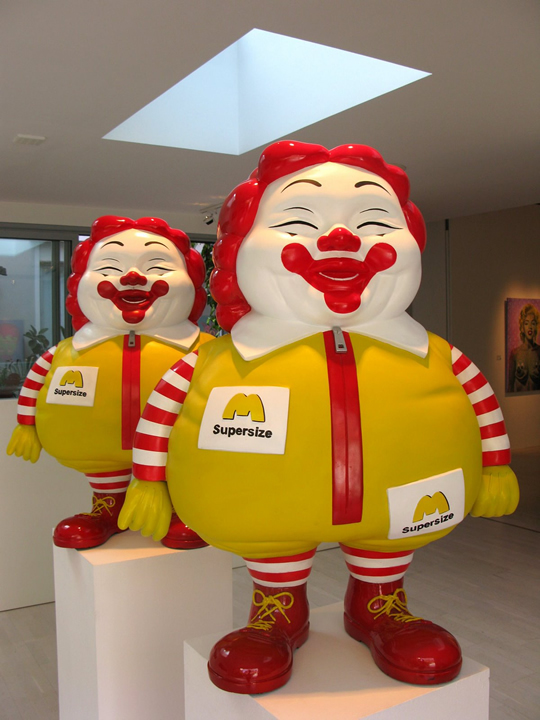 They're fat, and unhealthy, but don't know any better and carry on living happy, albeit unhealthy, lives.